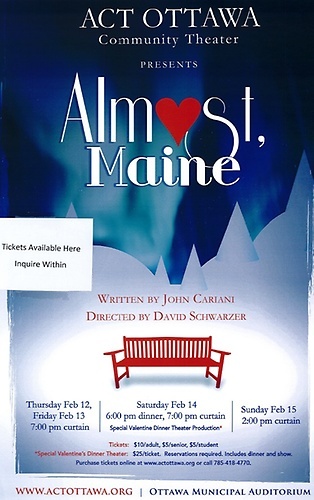 Local Events Valentine’s Day Weekend! 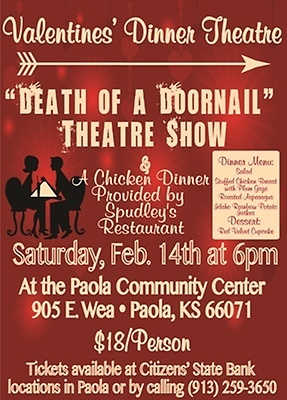 Special Valentine’s Dinner Theater: $25/ticket. Reservations required. Includes dinner and show. This entry was posted in Just for Fun, Ottawa, Paola by crownrealty. Bookmark the permalink.